We were told comfort came in a bowl of hand-pulled flat-broad noodle soup so we’ve decided to bring you a taste of home in the middle of a hectic working day. 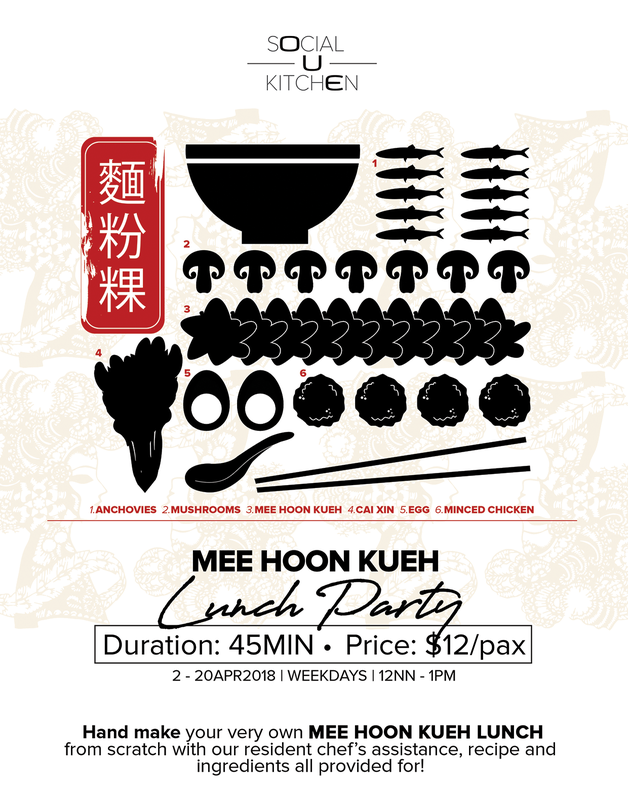 COok your own bowl of fuss-free Mee Hoon Kueh for lunch, in under and hour, with Chef’s guidance, friends and aromatic ingredients all provided for! Best of all, cleaning up will be done for you by the friendly team at OUE Social Kitchen!